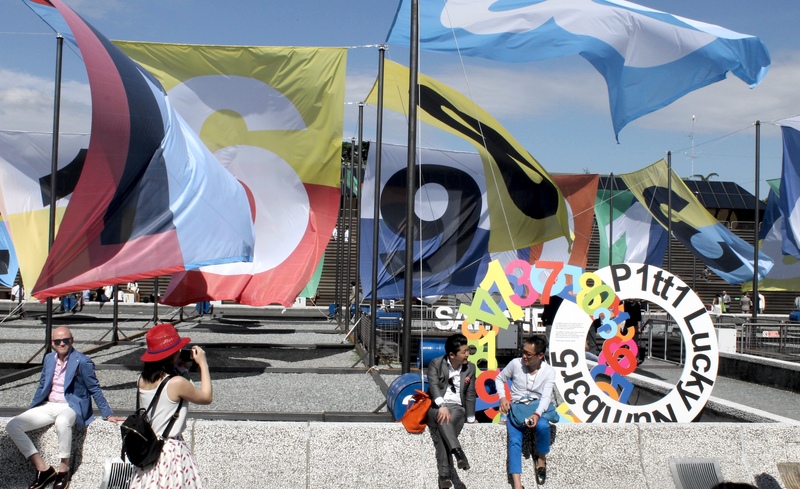 On the 14th of June the famous Pitti Immagine Uomo fashion trade fair marked its 90th edition in Florence, Italy. For four days Florence turned into the fashion capital of the world attracting fashion professionals from all over the world. Thousands of Italian and international buyers, designers, journalists as well as bloggers came together to admire the latest trends in contemporary style. As you know it was my first time on this event, so I have been preparing for it with great enthusiasm. Those of you who are following me on social media have already seen some of the photos/videos I have posted during the event. In this post I will be sharing more on how I have experienced the fair. Since Italian’s are known for their outstanding fashion taste, very stylish dressed men and women are the first thing that catches your eyes already from the entrance. The next thing that immediately catches attention is the presentation of the products. I particularly love this presentation of GUM bags. This tiger made completely from denim just blew my mind! It is surely one of the coolest denim creations I have ever seen! And of course since it’s about trade, here what is caught my attention. My definite favorites are these unique bags by Jump From Paper. I fell in love with their new SS2017 collection which would appear in the stores only next year. It is worth to mention also light and colorful bags by Save My Bag and their limited edition for 2016-2017 – Graffiti bag. All bags are made from poly-lycra. Sunglasses by Mora made from marble and semiprecious stones. And last but not least these cute bowties from SS2017 collection by Raffaele Stella Brienza. This is it for this time. It was very interesting learning opportunity for me. I am really glad I could take a part in this fair. In my next post I will share the details of the outfit I wore for Pitti Uomo. So stay in touch and don’t forget to let me know your opinion in a comment bar below!